Vormals nicht ausgewähltes Paket virtualbox-5.2 wird gewählt. 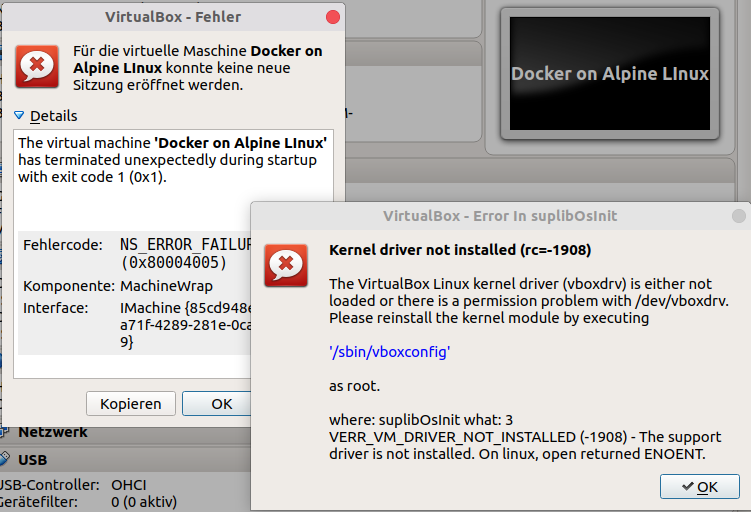 The virtual machine 'Docker on Alpine LInux' has terminated unexpectedly during startup with exit code 1 (0x1). There are many postings out there how to fix this. And after that everything works like expected.